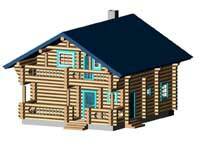 On this page You can see only a small part of the design base developed in a design bureau of our company. 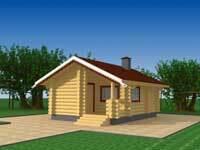 Some projects have various variations considering wishes of our Customers. 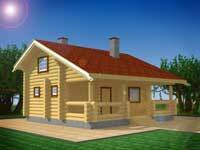 Long-term experience of our work shows, that the universal decisions satisfying all clients, simply do not exist. 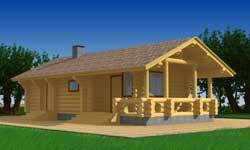 Therefore we show some our works only that you could be defined with configuration and a general view of your future house, to expand the outlook under possible technical and design decisions. 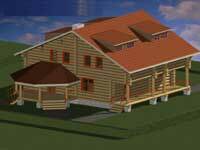 Project detailed elaboration will happen during formation of the technical project on designing. 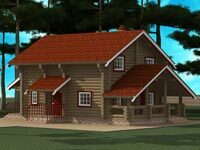 We hope that during acquaintance to the presented projects of cottages and baths, you will appreciate experience and ideas of our architects, a variety of architectural decisions from the simplest ones to more difficult, and the main thing - desire and possibility to embody them for our clients. 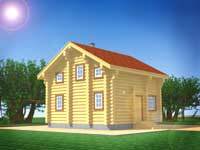 Notice, that cost of working out the project in our company will be returned the client at house or bath building. 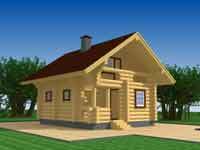 Analyzing the presented materials, you should understand accurately, that there is a possibility of making any changes in the presented projects, and by working out individual project - possibility of making of several variants of sketches. 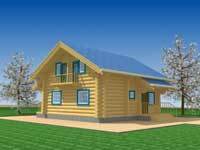 Very important question - conformity of building cost to the budget of the client. 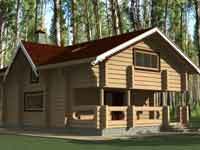 Our architects will help you to find compromises which will not affect crucial parameters of the house, but will allow to put expenses in your possibilities. 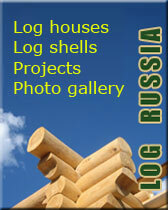 More detailed information about it is on "Price" page. 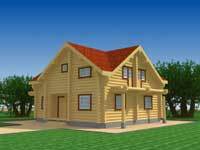 We recommend you to consult with our architects before undertaking the foundation. 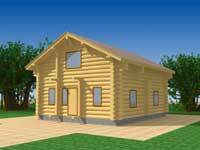 The reason is that the project which you liked, for example, of the brick house, published in magazine, can demand some corrections connected with features of wooden housing construction. 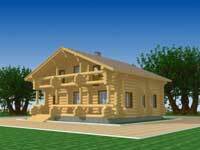 It, of course, will entail correction of the plan of the foundation - sometimes very essential. 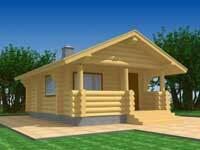 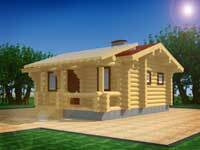 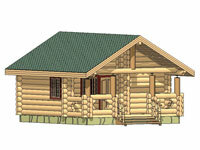 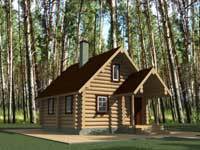 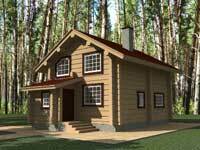 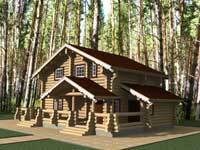 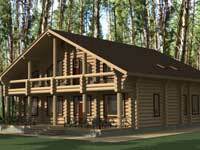 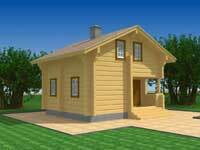 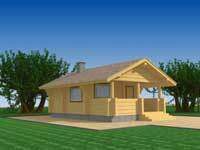 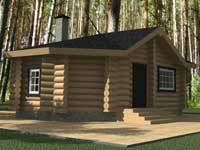 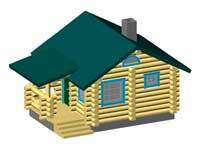 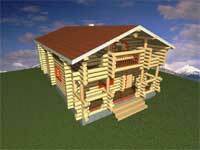 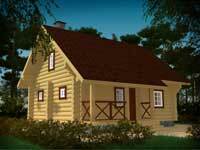 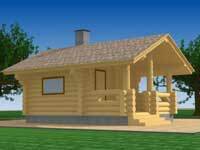 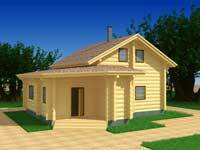 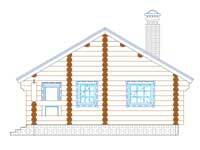 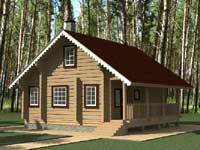 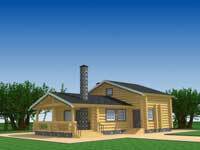 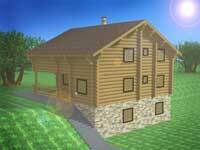 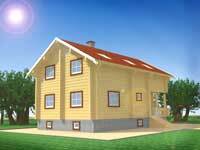 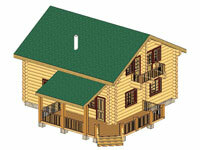 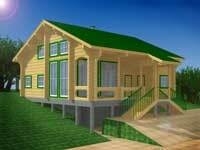 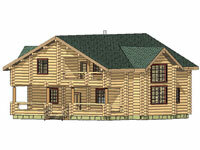 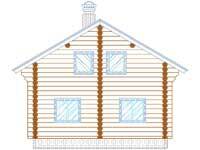 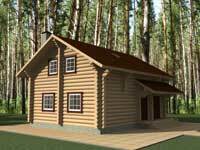 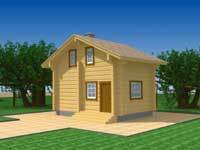 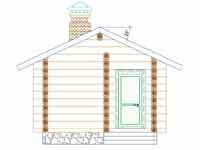 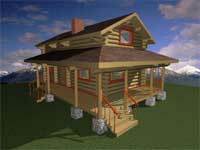 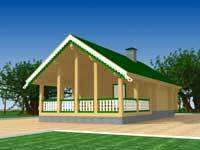 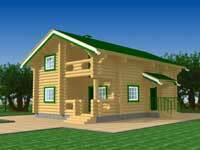 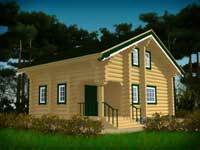 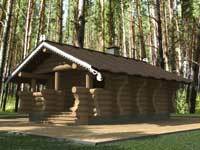 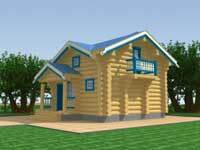 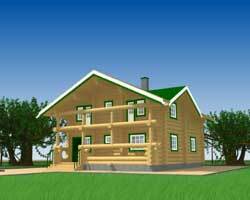 Do not waste money and keep your nerves - discuss the project with the architect, specializing on log houses. 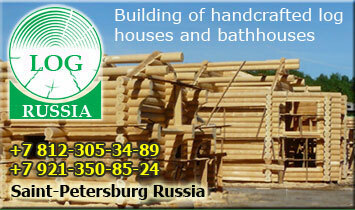 The detailed information about each project is resulted in Russian. 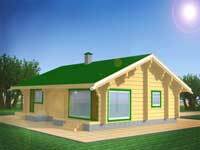 If it has interested you and you would like to receive more detailed information in English - write the letter to our architects to info@spbrb.ru, having specified the area of the chosen house or a bath. 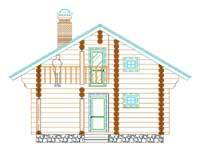 For detailed viewing of the project in the SEPARATE window click by mouse under images, and for viewing in the CURRENT window - click on inscriptions "More information..."